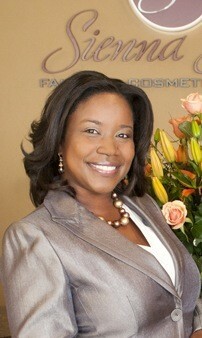 Dr. LaKendra Sakeena was born in Houston, Texas and raised in the Sugarland area. She received her B. S. in Biology from Texas Southern University and later graduated from the University of Texas Dental School in Houston where she earned her Doctorate of Dental Surgery Degree. Since graduating, Dr. Sakeena has continued her love of learning the best ways in which to deliver the most beautiful, healthy smiles to her patients. She has completed extensive training in Cosmetic, Implant, CAD/CAM, and Sedation dentistry and continues to stay abreast of the latest technology and best possible treatment options for her patients. When away from the office, Dr. Sakeena enjoys spending time with her husband of 14 years, Aaron and their two young children Adriana (7) and Rashad (6). Dr. Sakeena is a member of the National Dental Association, American Dental Association, Texas Dental Association, Greater Houston Dental Society, and the Academy of General Dentistry. “I am so very thankful to have the opportunity to do what I most enjoy for a living. I truly love my job. Each day, I have the pleasure of working with the most kind, caring, wonderful team members anyone could ask for. I also feel so very fortunate to have the world’s greatest group of patients to care for as well”!